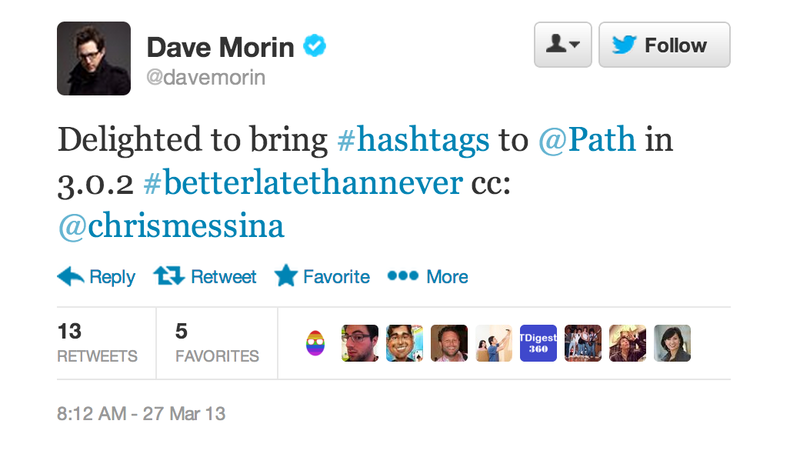 Path has followed in the footsteps of Twitter and Flickr (and possibly Facebook?) with the addition of support for hashtags to its iOS app. The new feature links hashtagged comments to a search across moments, aka posts, but the resulting search will pull non-hashtagged posts as well. For instance, when I added “#happy” to a post and then tapped the tag, it pulled up posts that had elicited the happy smiley face emoticon. 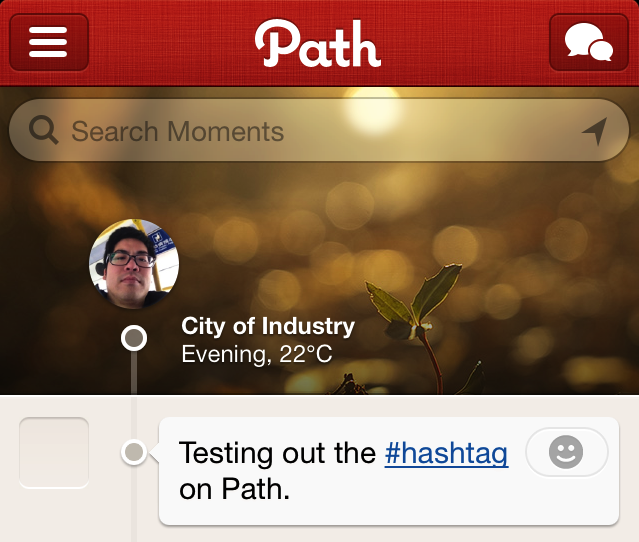 Path’s particular implementation limits the original purpose of the hashtag. Its function as a generic search shortcut makes it more difficult to use to keep track of posts about a particular event or subject, though it does seem to fit the service’s more private nature. 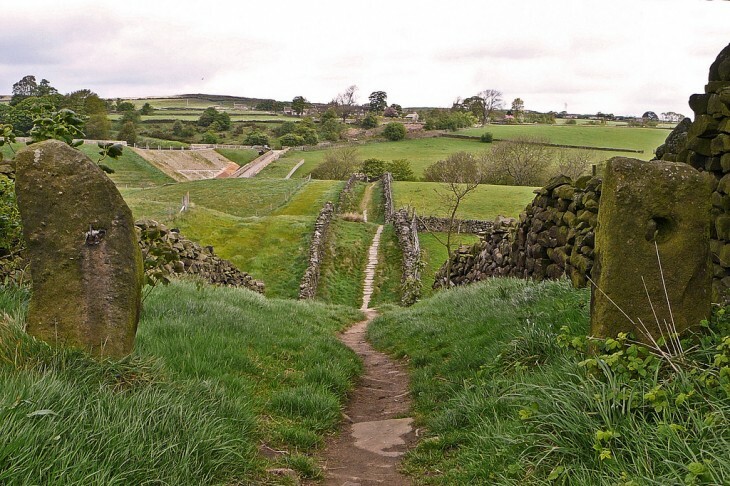 Since Path is intended to be used with close friends, as compared to Twitter’s “global town square” aspirations, there’s presumably less noise to sift through. Update: Path says it intends to fix the bug in an upcoming release so that only hashtagged results will show up in searches. Other changes to the Path app include routine performance improvements and bug fixes. Path recently hit version 3.0 with the addition of several new features, including private messaging and stickers. Twitter recently noted that the first use of the hashtag on its platform took place in 2007, a little over a year after the service got its start, though the practice first gained popularity in IRC chat rooms. For years it was one of the iconic features of Twitter and numerous brands have taken to using hashtags in advertisements. From Twitter, it moved into mainstream as competing social services, such as Google+ and Instagram, built hashtag support into their respective products.